*To see all of the photographs from this essay visit the gallery on my fine art photography page, as these are only a sample. The nights are slowly starting to close in, but we’re in the middle of a beautiful autumn, with warm and sunny days that still feel like summer. 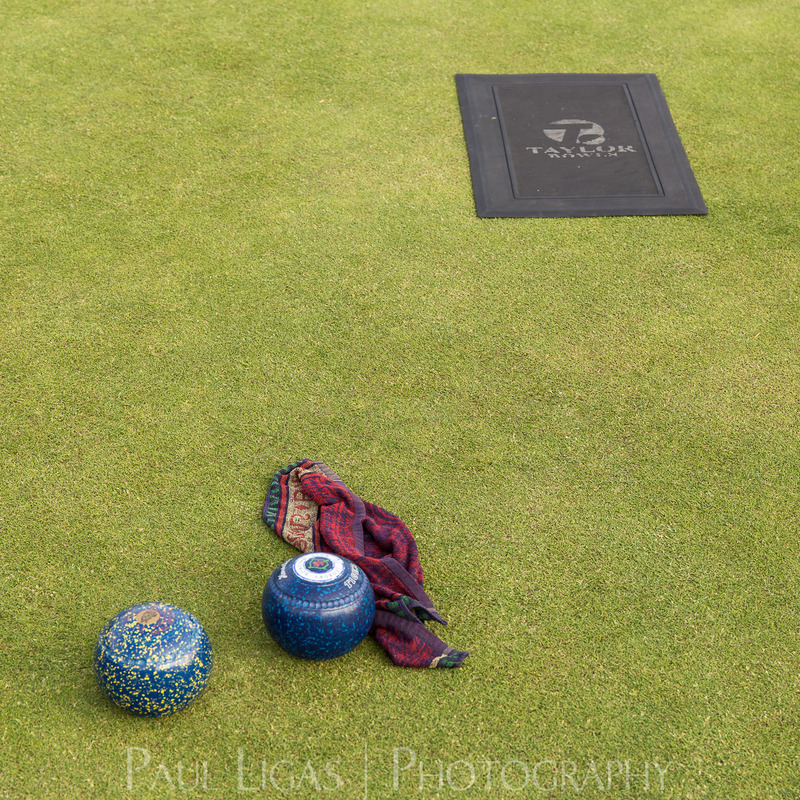 So it seems appropriate that my small photo essay about the Ledbury Bowling Club is finally ready. Since moving to Ledbury in the spring I’ve walked past the bowling club most days while walking the dogs or on the way into town. 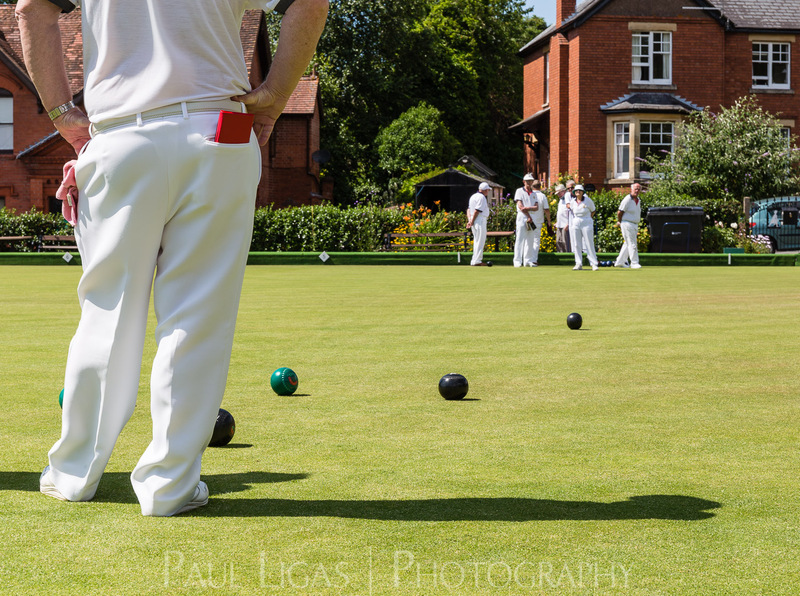 Impressed by the beautiful green and the players in their immaculate whites under sunny blue summer skies, I approached the club President Chris Bloise to ask if I could take some photographs, and was unequivocally told that I was welcome to do so at any time. 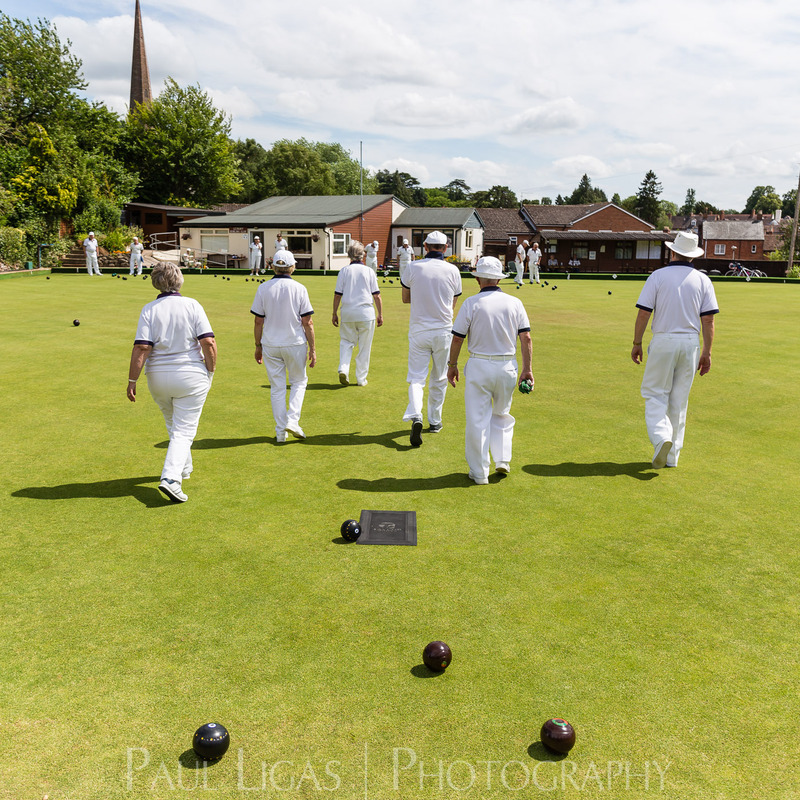 Everyone at Ledbury Bowling Club was open and friendly to me all the time, and their friendliness was matched by their passion for the game. I was given plenty of encouragement to come out to try my hand at playing (I still may do some time), and patient instructions on the rules of bowling, despite my occasional faux pas, like calling the green a ‘pitch’. While taking these photographs I was gradually struck by the seriousness with which bowling was taken. Despite everyone’s good humour on and off the green bowling is a serious game, and a game of millimetres. In this short photo essay I try to convey that almost contradictory sense of consequence with which the game and practices are taken, versus the warm, relaxing sunny skies of summer under which it’s played. 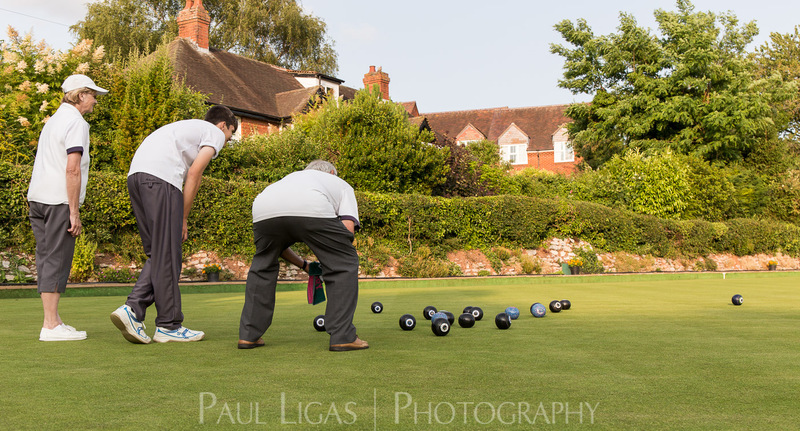 I’m indebted to the members of the Ledbury Bowling Club, and the Manor Park Bowling Club, for allowing me to take these photographs. 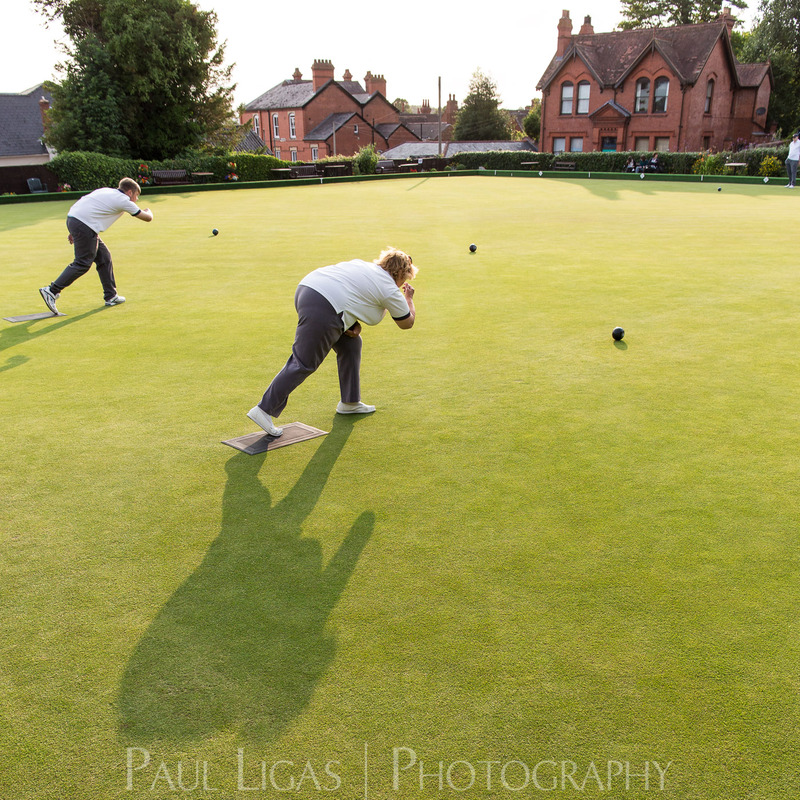 Ledbury Bowling club can also be found on Facebook and on Twitter.